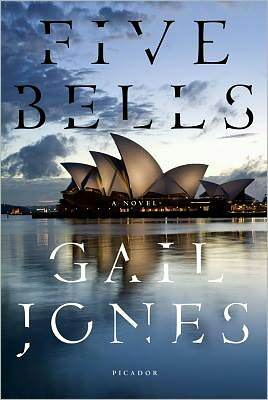 Gail Jones delivers a powerful novel about four individuals who happen to be traveling through Sydney on one fateful summer’s day. Five Bells takes place over the course of one long, hot summer day in Sydney, Australia, in Circular Quay, which is next to the iconic Sydney Opera House. Thousands of people travel through this public space daily, and Jones singles out four random people whose interconnected lives will change on this unassuming day. Catherine, new to Sydney, is mourning the death of her beloved brother, Brendan. Though he died years ago, she still has not come to terms with the fact that he is gone forever from her life. Ellie lives in the Australian countryside, but she has traveled into the city to reconnect with an old friend and lover, James. She is filled with hope at the thought of their meeting, but is also baffled as to what James might want from her. James, on the other hand, is haunted by the death of a young woman for which he feels responsible. Though it has been 20 years, he has always regretted leaving Ellie and is desperate to make some sort of personal connection in order to forget his pain. And Pei Xing, a woman past her prime, remembers the horrors of living in China under Mao Zedong. She was imprisoned during the Cultural Revolution and still becomes lost in those difficult memories that she never will overcome. Each of these four, disparate individuals will briefly come together and their lives will be irrevocably changed because of that seemingly inconsequential contact. To put it simply, Gail Jones’ prose is beautiful in Five Bells. Her talent with words is simply stunning. She uses her prose to portray feelings of pain and loss that each character must face. Somehow, her words manage to take the edge off the worst grief, turning these difficult feelings into something poetic. Her characters are well-explored and intricately developed. Each person leaps off the page, as if they are actual people struggling through real life. Though Ellie and Catherine are sympathetic, it is James and Pei Xing who capture the reader’s attention. Both have experienced horrors (though on very different scales) and their inner sorrows — though tempered by Jones’ unmatched prose — bleed onto the page. However, Five Bells also has some minor issues. The narrator of the book shifts quickly and somewhat randomly, such that the transitions can be jarring. The inclusion of Pei Xing, although she’s a fascinating character, doesn’t quite fit in with the rest of the book’s personalities. With what she has endured, she is deserving of an entire book of her own — to fully explore what is hidden under the surface. Overall, Five Bells is a beautifully written, dynamic literary novel with a unique setting. Fans of literary novels shouldn’t hesitate to pick up this dramatic piece of fiction.